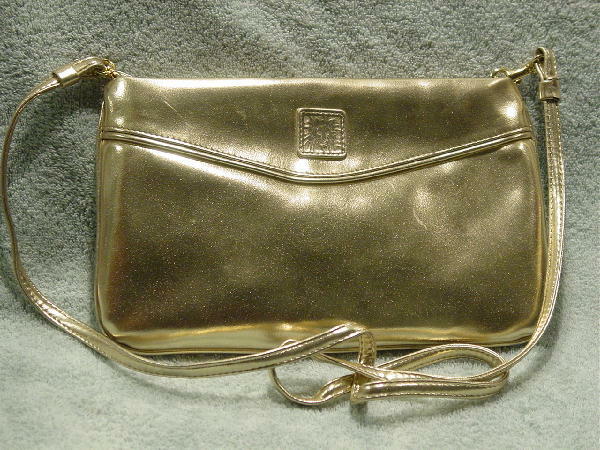 This gold lame genuine leather purse is by Anne Klein for Calderon. It has a bone color interior with a large zippered pocket. There is a top side to side zippered opening with a leather pull. It has a detachable 43" long shoulder strap. The lion head logo is on a leather patch on the upper front. It has a few scuff marks. The dark area on the bottom is a reflection.